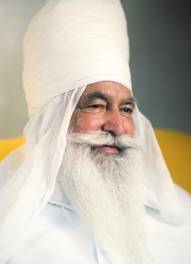 Baba Virsa Singh ji’s messages will now appear on Speaking Tree, the largest online spiritual journal in the world. As part of the Times of India Babaji’s articles will also appear in print from time to time. This provides a major platform to reach people who have not heard of Him or been to Gobind Sadan. Please follow Babaji’s page and encourage your friends to do so as well. He is still considered a “new master” as we just launched – but with your follows, you can quickly move Him up the pages to get the recognition He deserves. We will do our best to post regularly – at least weekly, so check back.